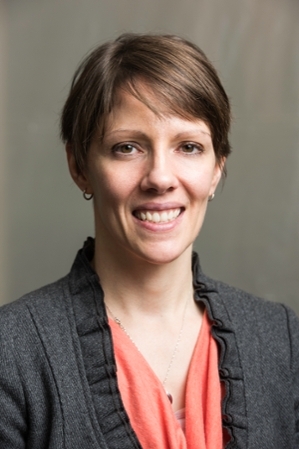 Danielle Benoit is the James P. Wilmot Distinguished Associate Professor within the Department of Biomedical Engineering with appointments also in chemical engineering and the Center for Musculoskeletal Research. Her research specializes in the rational design of polymeric materials for regenerative medicine and drug delivery applications. Her work has provided insights into the translation of tissue engineering strategies for bone allograft repair, development of pH-responsive nanoparticles for nucleic acid and small molecule delivery, and novel targeting strategies for bone-specific delivery of therapeutics. Our lab works at the interface of medicine and engineering, with an emphasis on precisely controlling biomaterial functionality and architecture to treat diseases, control cell behavior, or answer fundamental biological questions. In particular, we are focusing on two avenues: synthetic hydrogels with tunable degradation and mechanical properties as a synthetic extracellular matrix analogue for the culture and delivery of cells for regenerative medicine approaches and polymers formed using reversible-addition fragmentation chain transfer polymerization (RAFT), a controlled, living polymerization strategy, designed with drug delivery applications in mind. Our overall hypothesis is that by using bottom-up approaches, we can design 'smart' materials with distinct capabilities, such as controlling cell behavior or overcoming delivery barriers.